This gavel belonged to my great-grandfather Charles Mulder of Caledonia, Michigan. He was my maternal grandmother‘s father and his name at birth, in 1885 in Goes, Zeeland, the Netherlands, was Karel Pieter Phillipus Mulder. His great-great-grandfather was Carel Mulder, born March 8, 1780 in Goes, the Netherlands. His occupation was a jailor’s hand. This same Carel Mulder is also an ancestor of my maternal grandfather. I wrote about the discovery of this coincidence in an earlier post. Great Grandpa was a working farmer for many years. I remember his farm with great affection because it had a rope swing from an apple tree, a barn, a chicken coop, outhouse, and fields where we once went on a hayride. Across the country road, a the thick woods nurtured a colorful assortment of wild flowers. In the above photo, Great Grandpa is with the only “great-grandmother” I knew, his second wife, Margaret, a very sweet lady. My great-grandmother Clara passed away from uterine cancer two years before I was born. My father told me that Great Grandpa held the position of Township Supervisor years ago and that is where he used this gavel. On pages 252-256 of Ernest B. Fisher’s 1918 book, Grand Rapids and Kent County, Michigan: historical account of …, Volume 1, I discovered more specific information about Great Grandpa and Caledonia. At the mouth of Coldwater river was a great Indian camping ground and burial place. The Indians did not leave there entirely until a comparatively recent date. One of them, old Soh-na-go, or “Squirrel,” was seen at quite a late day visiting the burial place and the hunting grounds of his fathers, but the “white man’s axe” had been there and it was no longer a home for him. Caledonia, situated on Section 29, is a prosperous village of 600 people. It was settled in 1850, the first plat was made in 1870, and it reached the dignity of an incorporated municipality in 1888. It is situated on the Michigan Central railroad and hence has good shipping facilities which make it the center of trade for a wide extent of fertile country. It has one Methodist and two United Brethren churches, a bank, and a weekly newspaper, the News, and the requisite number of mercantile establishments and general industries. The township of Caledonia is one of the best agricultural districts in Kent county, and the thrifty farmers are profitably engaged in all classes of diversified farming. 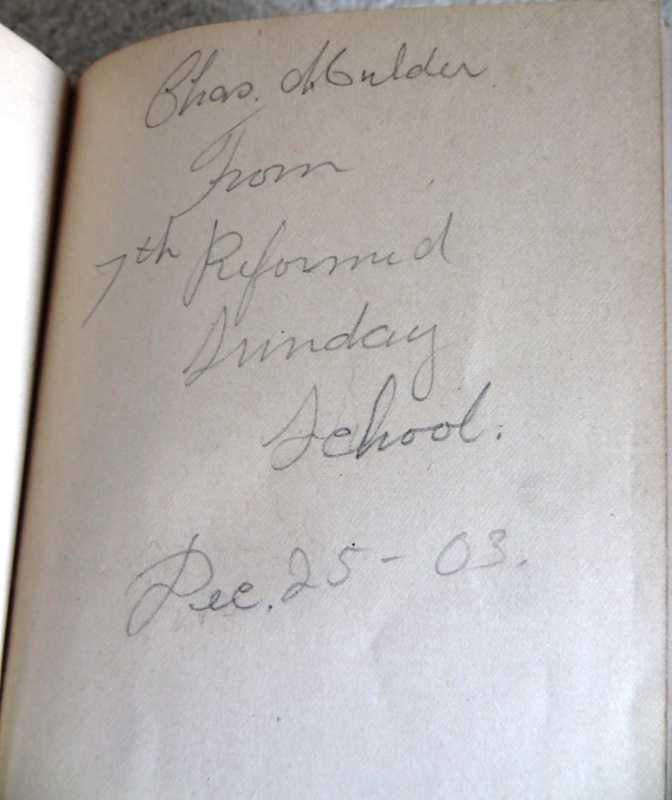 What interested me is that I saw that inside one of Great Grandpa’s books he went to a (Dutch) Reformed Church in 1903. He was so ensconced in life in Caledonia by 1915 that he was Township Supervisor (and Grandma was born in 1912 in Caledonia). The quote above says that there was one Methodist and two United Brethren churches, and I do know that my grandmother was a Methodist and that we used to have family reunions in the basement of the Methodist Church in Caledonia when I was a kid. So where did he go to the Reformed Church? According to records I found through ancestry.com, he immigrated to the United States with his family when he was two or three and grew up in Grand Rapids, not out in the country on a farm, after all. Below is given a list of the supervisors of the township from its organization down to the present time: 1840, John P. McNaughton; 1842, Norman Foster; 1844, Roswell F. Tyler and William Gibson; 1845, John A. Cornell; 1846, Justus G. Beach; 1848, Reuben H. Smith; 1849, William H. Brown; 1854, Lyman Gerould; 1857, Zabin Williams; 1858, William H. Brown; 1860, Warren S. Hale; 1861, William H. Brown; 1863, William J. Wood; 1865, Adam B. Sherk; 1868, William J. Wood; 1869, Marcus Buell; 1870, Adam B. Sherk; 1871, Robert S. Jackson; 1872, William J. 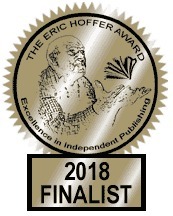 Wood; 1873, Martin Whitney; 1877, Austin W. Hill; 1878, Marcus Buell; 1879, Sherman T. Colson; 1889, Alfred W. Stow; 1891, Sherman T. Colson; 1895, Eugene Ward; 1900, Joseph E. Kennedy; 1901, Alfred Newman; 1904, EugeneWard; 1906, Alfred Newman; 1907, Frederick W. Ruehs; 1912, Merrill M. Kriger; 1914, John J. Luneke; 1915, Charles R. Mulder, present incumbent. Great Grandpa was the Supervisor of the Township of Caledonia. He used this gavel to call the meetings to order. Maybe this desire for order comes to him from his great-great-grandfather, the jailor’s hand. The story from the gavel…each treasure tells a different story…you are so lucky to have the gavel!! I am so lucky, Sheila. My parents gave it to me this year. It is so nice to put the story together with the item, too. It makes it so much more meaningful. I love this — the way you fit together all these clues. Genealogy is a puzzle you are putting together piece by piece. RE: finding a husband and wife with a common ancestor: I don’t know if I have that in my family, but I do have relatives descended from common ancestors. I think that’s a not-unlikely turn of events for people who live in the same small area for generations. Still, it seems quirky. It’s probably more common than we even realize, but there was the family story that said they were cousins, and they did turn out to be cousins of sorts. And, yes, they lived in the same very small place for generations. That is something that is so different from our thinking today in this country. Thanks for noticing all the “clues” or puzzle pieces. It was fun to work on it! Great pictures. You’re so lucky to have his gavel. Thanks for reading, Linda! My parents just sent it to me this year. I didn’t even know it existed until I got it in the mail :).